Set of embossed foldover notes in our contemporary and excellent double thick quality mocha stock. Size 5" x 4". 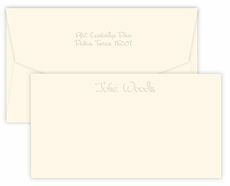 Ivory envelopes included. 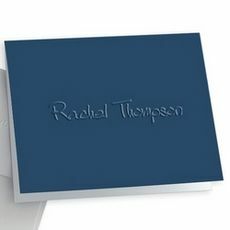 Personalized in our popular Anthony typestyle. Embossed return address available.